I love this time of year! I've done several fun costumes over the years and found that the best ones are the costumes I Dont find premade. I've done Tinkerbell and sprinkled glitter all over the place. I've been a nurse from the 50s. I've even attended beautiful Gatsby themed parties for work. 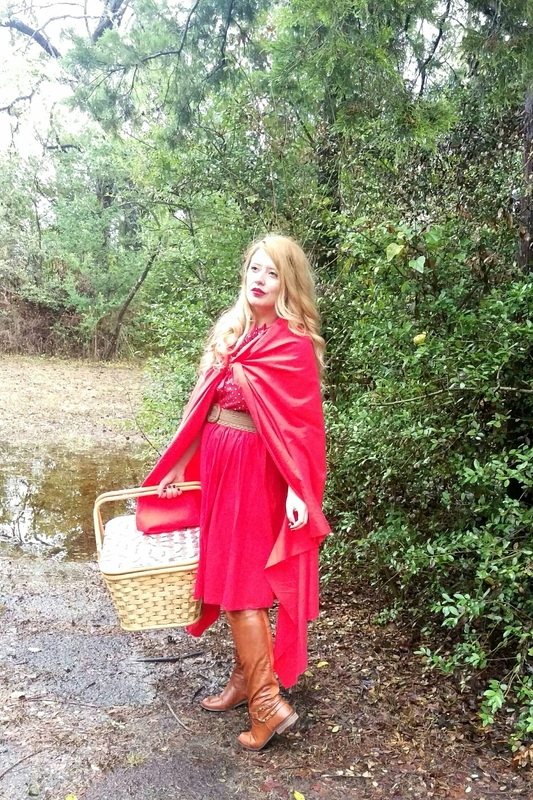 I've found a few guidelines are helpful when selecting your costume and thought I would share in today's post. Use real clothing - When I went as Tinkerbell I bought a sweet green satin strapless dress and added wings. As a flapper, I found I owned a tiered gold dress, but gave it a twist by putting on layers of jewelry. When you wear your own clothing or buy it from a store you like, you'll end up wearing the pieces again. Plus, no scratchy fabric. The other thing is that the pieces fit better. 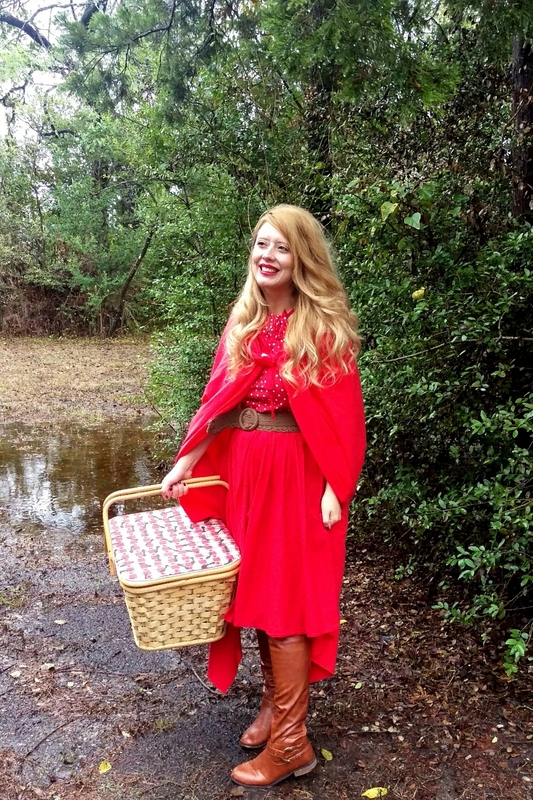 I posted a board for "Little Red Riding Hood" inspired items a few days ago that fall in line with this theme. Accesorize - Sounds simple, but accessories, hair and makeup can transform an outfit. Think about how you can morph into your character. A good example is to find pieces from the era you are pulling from. Or if you are a character, add small touches. When I was Tinkerbell, I sprayed my hair really blonde and put it up in a bun. 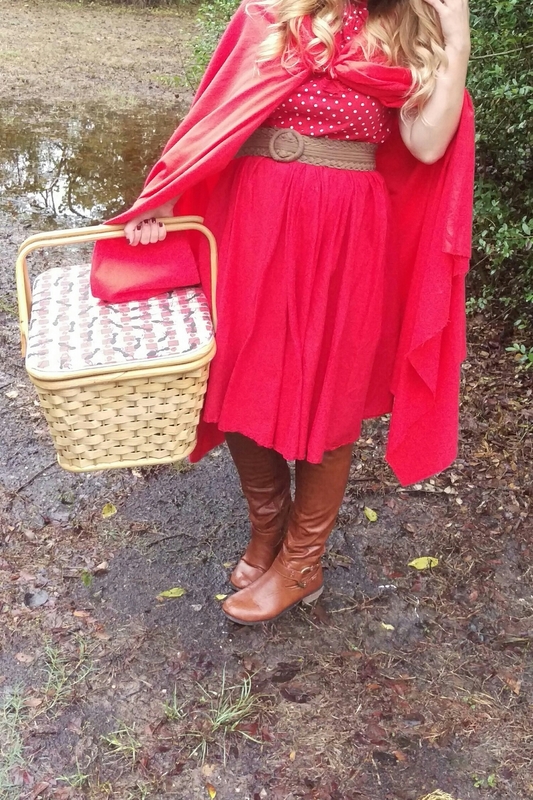 Here as little red riding hood I had a picnic basket, cape and wore my hair in soft curls to give it a youthful look. As a flapper, I wore strands of pearls, fishnet tights, captoe shoes and a feather boa. Get into your costume and go decked out! Don't let DIY make you crazy - I've seen many sewing projects go a rye at the last second. If you are making something start early and buy extra supplies. Do not wait till the last second. It will just stress you out and takes away from the fun. Also, look for things that have a video for the tutorial. Whether it's a hairstyle or a cape, keep it simple and practice in advance. Remember to have fun and draw inspiration from friends, Pinterest, pop culture and movies. 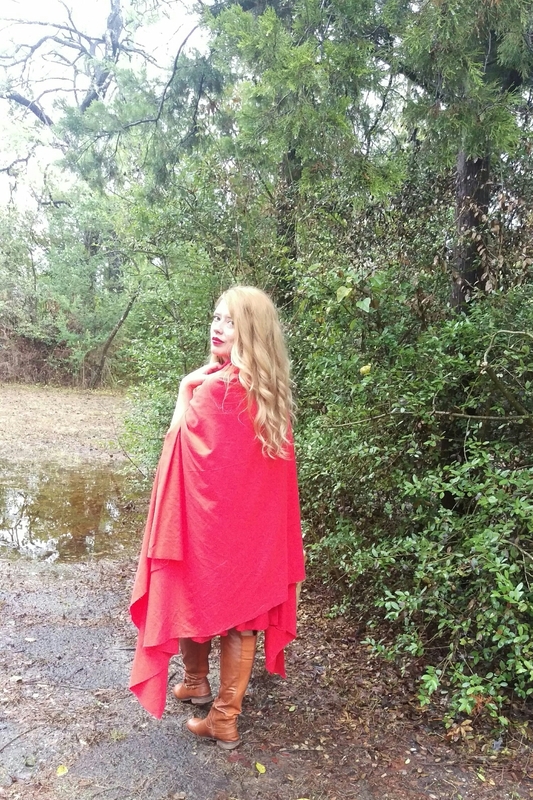 I hope you have a fun Halloween and check out my Instagram (threeheelclicks) for more ideas on Fall, costumes and festive decor! I'd love to hear your ideas too - please email or leave a comment!! !